We just learned that a fire whirl is a spinning column of burning air. 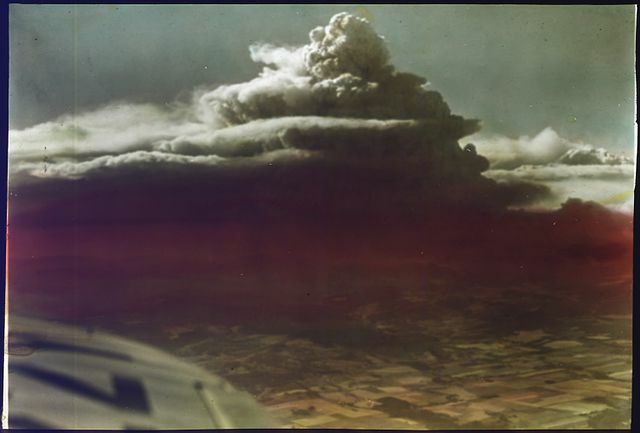 A firestorm is when a large area like a forest or a city is on fire, and the fire is so large that it starts making it's own wind that blows the fire around. Sometimes the wind is so strong that it creates fire whirls, so the fire is spreading everywhere and there are fire like tornadoes spinning around. We just learned about the type of dog the Samoyed. 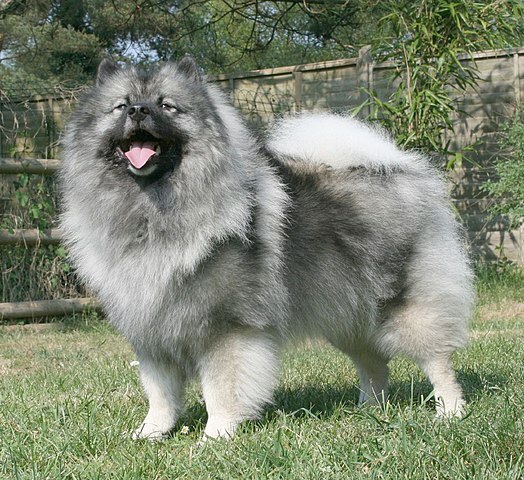 Another type of dog is the keeshond. This type of dog is very fuzzy with black and grey fur. It's name comes from a famous old Dutch person nicknamed Kees, and the word hond which meant dog. Because it was a famous dog of a Dutch person, and because it always seems to be happy it has the nickname of the "Smiling Dutchman". We've now learned about all of the arteries and veins that pump blood all over the body. The part of the body that does the pumping is the heart, which has 4 chambers that we've already learned about. Deoxygenated blood comes into the Right Atrium and then goes to Right Ventricle. The Right Ventricle pushes the blood to the lungs to get oxygen, then the oxygenated blood comes into the Left Atrium. The blood then goes into the Left Ventricle which sends the blood to all parts of the body, and it comes back to the Right Atrium where we started. So it goes Right Atrium, Right Ventricle, Lungs, Left Atrium, Left Ventricle, Body, Right Atrium. We just learned about Lake Baikal in Russia. The next largest lake is Great Bear Lake in Canada. It is the largest lake inside of Canada, and the top of the lake is frozen over for 8 months out of the year. People even drive trucks over the lake! There is a lot of fishing there, and the largest lake trout ever caught by a line was there at 72 pounds. We just learned about the book of Second John. John wrote one last letter that we call Third John. He wrote to his friend to tell him that he was coming to visit, and that he was coming to help their friends and work against some people who were doing bad things to the church. Dear friend, do not imitate what is evil but what is good. Anyone who does what is good is from God. Anyone who does what is evil has not seen God. We just learned about the work of art Dance. An Objectless Composition by Alexander Rodchenko. Another famous work of art is the sculpture Revolving Torsion by Russian artist Naum Gabo. This was another constructivist work of art. We just learned how to Count to ten in Italian. The Italian alphabet is just like the English alphabet, but they don't use the letters J, K, W, X or Y. Those letters can be used in Italian, but they are usually for words that were brought over to Italian from another language, like the words Kiwi or Yogurt. We just learned about the dust devil. Another type of whirlwind is a fire whirl. A fire whirl has a core that is on fire, and a pocket of spinning air. It can get very hot, up to 2,000 °F, the wind speeds can get up to 100 mph, and they can last for an hour or more. We just learned about the type of dog the American Eskimo Dog. Another type of dog is the samoyed. This dog was known as sled dogs and herdings dog for reindeer in the cold and snowy parts of Sibera in Russia. They have a tail that curls up right over and rests on their back, and they can use it when sleeping to keep warm. Their fur is a double coat, and some people have collected their fur to use in fur coats. They are very happy dogs that always look like they are smiling, so they have the nickname of Sammie smiles or smiley dogs. We just learned about the right ventricle pumps deoxygenated blood out of the heart to get filled up with oxygen at the lungs. The deoxygenated blood leaves the heart through the pulmonary artery and goes to the lungs in capillaries. It might seem strange that even though it is carrying deoxygenated blood it is called an artery instead of a vein. We just learned about the lake Lake Tanganyika. Another lake is called Lake Baikal. It is a very deep lake, and has more water in it than any other lake in the world. It is also a very old lake, at 25 million years old! We just learned about the book of First John. John wrote another letter that is called Second John. He writes to the church to tell them to keep believing in the teachings of Jesus. We just learned about the work of art Tatlin's Tower. Another famous work of art is the painting Dance. An Objectless Composition by Russian artist Alexander Rodchenko in 1915. This was another painting in the Constructivist movement. Rodchenko used scales and compasses to make lines and shapes to try and get rid of the extra styling from normal paint brush strokes that he thought were not needed. We Counted to five now let's count to ten in Italian! We just learned that about the type of storm called a Supercell. Another thing like a tornado is called a Dust Devil. These are spinning air that happens without any kind of a thunderstorm around. Since they happen a lot in the day time, some people in the past thought they were like ghosts. In the middle east they are sometimes called djin, the word for genie. We just learned about the type of dog the Whippet. Another type of dog is the American Eskimo dog. There are sizes of this dog, toy, miniature and standard. These dogs became famous because a few different circuses were using them as show dogs, and one dog was even trained to walk on a tightrope. Because the dogs were so popular, the circus would sell American Eskimo puppies after the show. We just learned that the right atrium fills up with deoxygenated blood from the body. After that the blood goes into the right ventricle which pumps the blood out of the heart and over to the lungs to get filled up with oxygen. We just learned about Lake Michigan. The next largest lake is Lake Tanganyika. The lake is touching the countries of Tanzania, Democratic Republic of the Congo (DRC), Burundi, and Zambia. It is not the biggest lake in the world, but it is the longest lake. We just learned about the book of Second Peter. The next book of the bible is the book of First John which was a letter that John wrote to tell people that God is perfect and that we should try to live our lives in love. We just learned about the work of art Beat the Whites with the Red Wedge by Lissitzky. Another famous work of art is Tatlin's Tower, designed by Vladimir Tatlin in 1919 to be built in Russia. The tower was never built because there wasn't enough money, but it was supposed to be a very large metal tower bigger than the Eiffel Tower in France, and there are smaller models of what it would have looked like. It was supposed to be a really big tower to show how modern, strong and successful the Russians were. Let's count to five in Italian! We just learned that the mesocyclone is when spinning wind lifts up into the air. A supercell is when a mesocyclone happens in a thunderstorm. 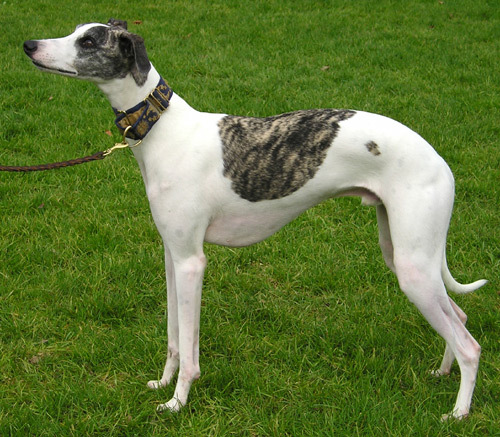 Another type of dog is a whippet. The whippet is a lot like a greyhound, just smaller. Since they are smaller they were used long ago to hunt rabbits, and sometimes people race whippets to see which is the fastest. We just learned about the jugular vein that brings deoxygenated blood from the head and neck down toward the heart. All of the arteries in the push blood away from the heart, and all of the veins bring blood back toward the heart. We learned about the superior and inferior vena cava that brings blood back into the heart. That goes right into the right atrium a chamber in the heart that fills up with deoxygenated blood. We just learned about Lake Huron. The next largest lake is Lake Michigan, which is part of Michigan, Illinois, Indiana, and Wisconsin. Lake Michigan is the largest lake that is only touching one country. There are many beaches on the east coast of this lake, so many that it has the nickname the Third Coast, after the Pacific and Atlantic ocean coasts. There are many large sand dunes along the east coast of the lake. 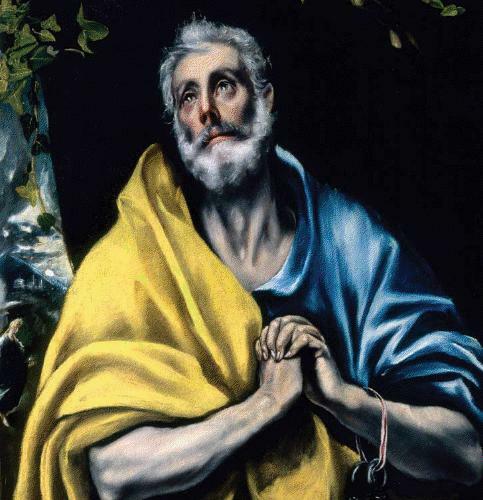 Saint Peter also wrote another book, and it is called Second Peter. In this book he reminds people not to listen to bad teachers, and that God will come again some day but we won't know when and it could be a really really long time from now. We just learned about the famous work of art Black Square by Malevich. Another famous work of art is the painting Beat the Whites with the Red Wedge by Russian artist Lazar Markovich Lissitzky, also known as El Lissitzky in 1919. In Russia there was a big fight between two groups of people called the red party and the white party. The artist El Lissitzky liked the red party, so he made this poster to show the red party beating the white party. it was made to help do something like help change people's minds in a war. He also did a lot of work coming up with ideas for new buildings. We just learned that to ask if someone speaks Italian you say Parli italiano?. We just learned that tornadogenesis means the way a tornado starts. Many tornadoes are started from a mesocyclone. This happens when wind starts spinning around, and then lifts up into the air. The air spins up higher and gets bigger and turns into a mesocyclone. We just learned about the type of dog the Newfoundland. Another type of dog is the greyhound. The greyhound is the fastest dog in the world, and they can run 40 miles per hour. This isn't as fast as a cheetah, but it's way faster than any human can run. 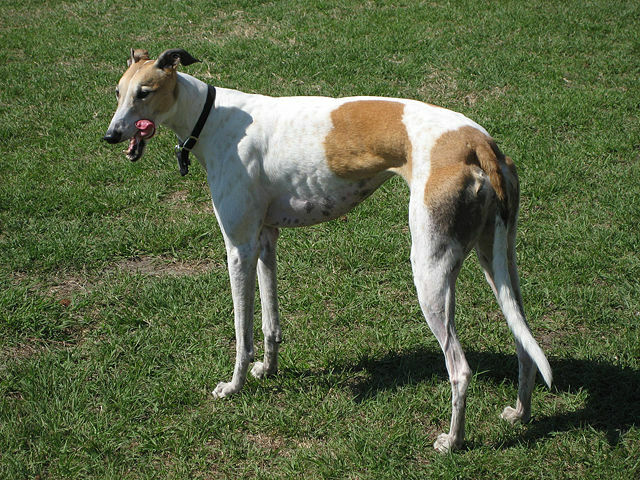 Greyhounds are sometimes raised to be used on racetracks, to race against other greyhounds. We just learned about the Digital Veins that bring deoxygenated blood back from the fingers toward the heart. So we've now learned about all the veins of the legs and the arms. There is a big vein in the neck called the jugular vein, that brings deoxygenated blood back from the head toward the heart. There are two jugular veins, the external and internal. The internal one is more inside the middle of the neck, and the external one is more toward the outside of the neck. You can feel your pulse in the jugular vein in your neck. After the jugular there are about 50 other small veins that connect to the brain, eyes, ears, mouth and every part of your body.